The northern lights are one of the most awe-inspiring sights you can see with your feet planted on Earth. 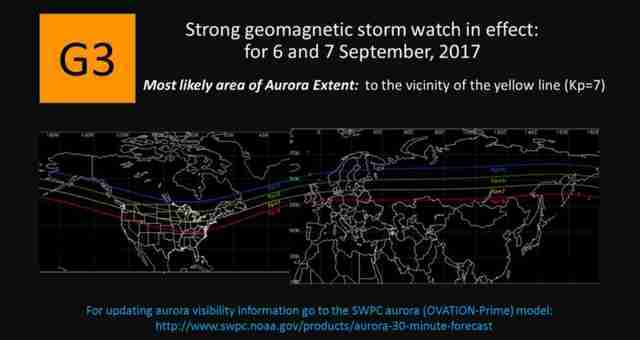 A sun storm is going to provide a particularly powerful display of the northern and southern lights on Wednesday evening, allowing the sky show to be seen as far south as Ohio and Indiana, according to Space.com. The sun shot out "a huge cloud of superheated plasma known as a coronal mass ejection (CME)" on Labor Day, Space.com explains. Moving at 200 miles per second, that blast is expected to arrive at Earth today, causing an intense geomagnetic storm. 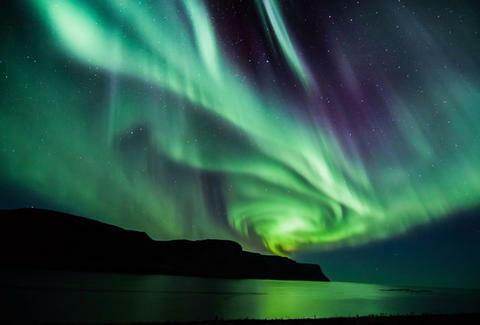 Storms like this are capable of supercharging the planet's auroras, providing a special opportunity to see the northern lights further south than you usually can. The CME's effects are expected to last through Thursday morning. It will make the northern lights potentially visible as far as Washington in the west and parts of New England in the east. Complicating an ideal viewing experience will be Wednesday's full moon. The northern lights are best viewed when the sky is completely dark, and you're removed from the bright lights of the city. The moon is going to interfere with that ideal scenario, but it shouldn't stop you from seeing the display. Smoke from wild fires in the western US may also impede the view of sky gazers. The CME was an M-Class solar eruption, the middle level the three classifications of solar storm intensity. It was followed Wednesday by two quite large solar flares, the second of which was an X-Class (the strongest). At a rating of X9.3, it was the strongest flare recorded since 2008. The flare was so intense it caused radio blackouts, according to the SWPC. If you want to know whether you're going to be seeing the northern lights, the SWPC's 30-minute aurora forecast is a great tool to track what parts of the world the northern and southern lights are setting ablaze.